Hello and welcome back! I and SO excited about this post! 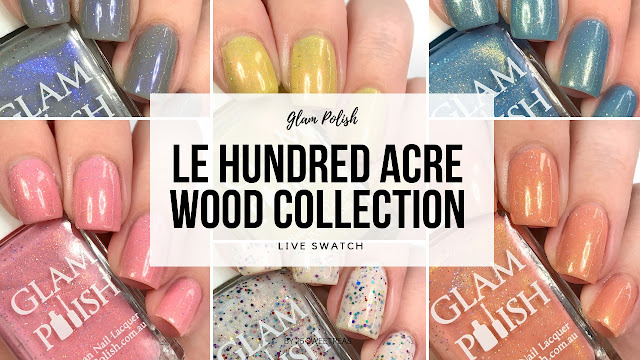 Today I have sharing a look at Glam Polishes up coming collection called the Limited Edition Hundred Acre Wood Collection inspired by the Christopher Robin Movie! 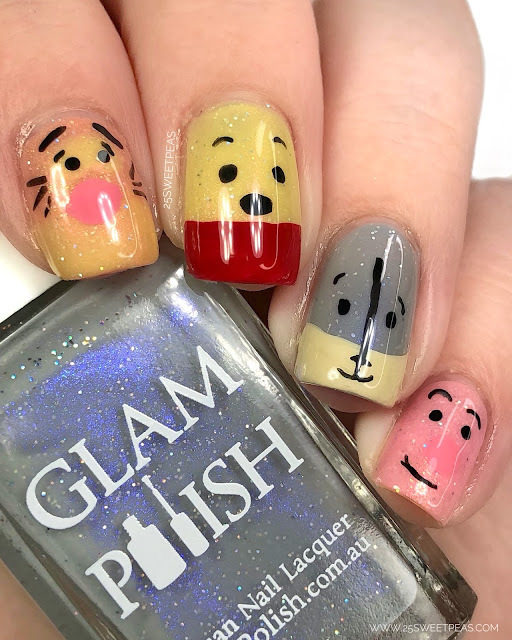 Its so fun and totally feels like a Winnie the Pooh collection which I'm super happy about! Winnie Pooh was a thing with my brothers and I grow up for sure and actually my first ever bedding in a "big girl" bed was classic Pooh which was/is my moms favorite! :) I probably even still have the stuffed animals somewhere because I mean, how could you part with those! 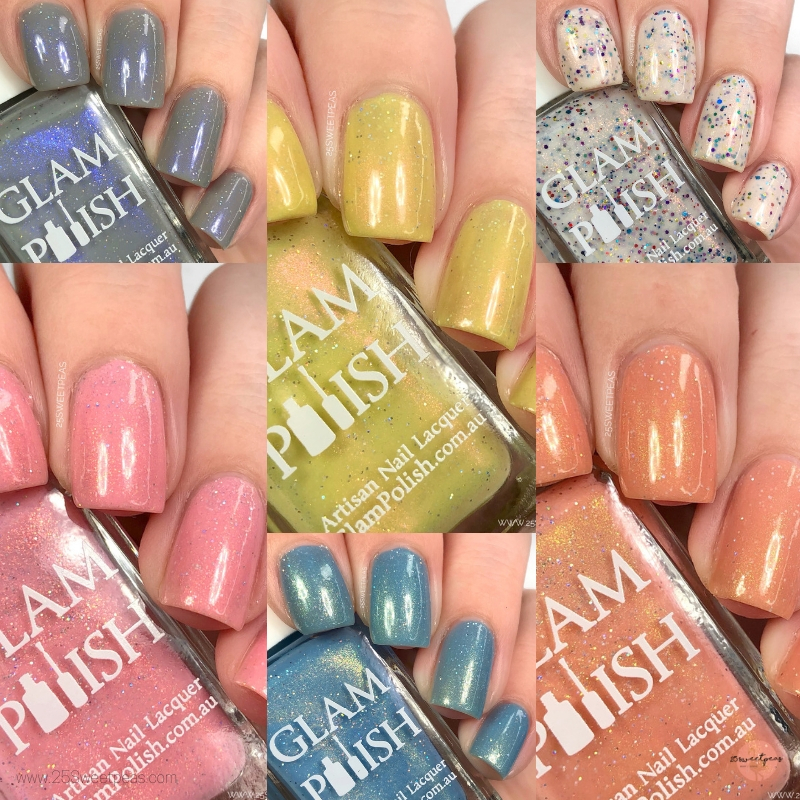 Anywhoo enough chatting and lets look at all of the polishes! Its so fun! This is the polish that has a bit of everything in it and feels like all of the Winnie The Pooh Characters in one and its all sorts of great. 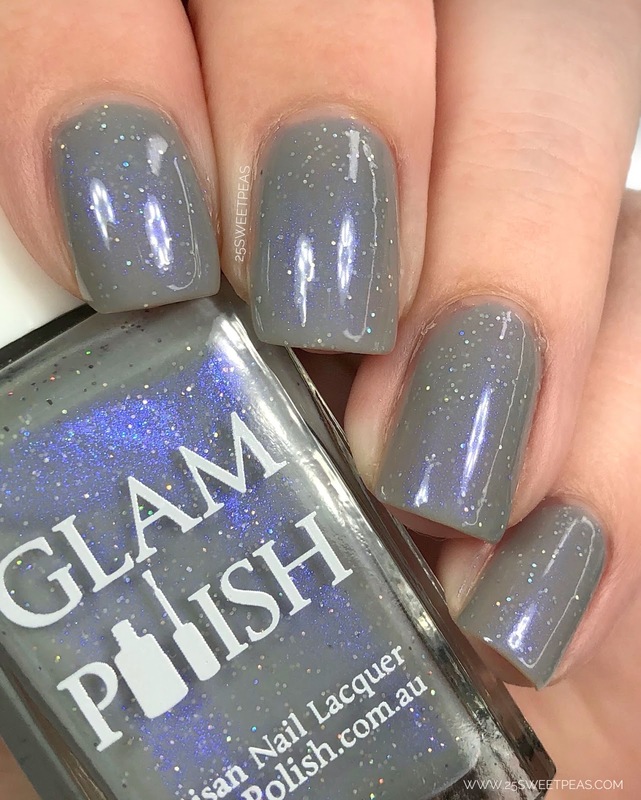 This one, as well as all of the polishes in today post actually take about 3 coats. All super easy and builds to a really nice depth. Light gray crelly with indigo-sapphire unicorn shimmer and ultra holo glitter. Eeyore! Notably my personal fave of the Winnie the Pooh Crew. :) This one matches him so well too! 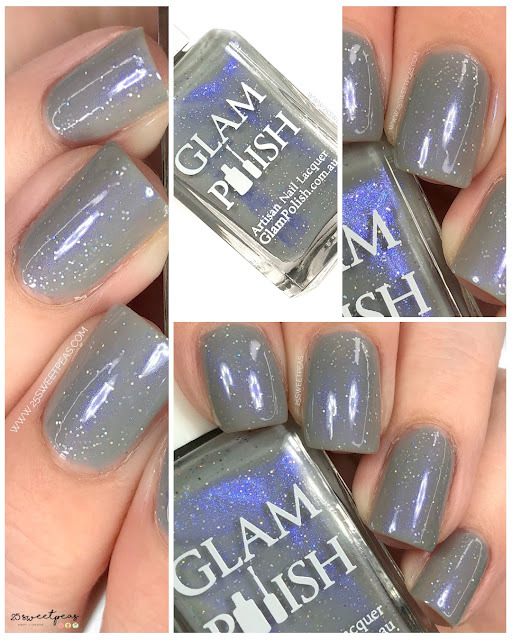 Its grey toned while also picking up the blue tone with the shimmer in it which is just perfection for an Eeyore polish! 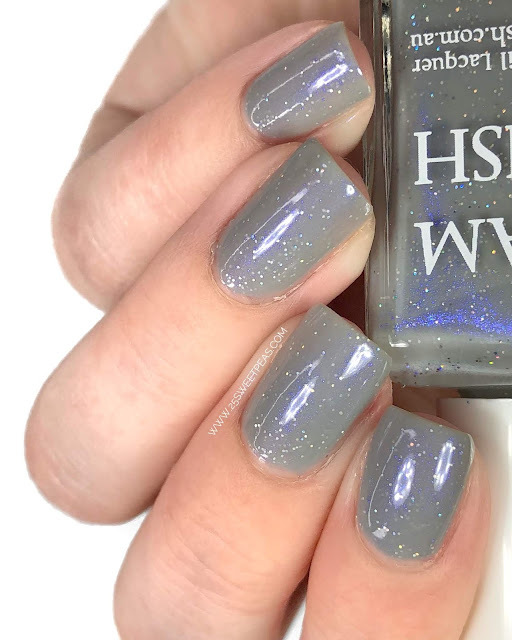 This one applied really nicely and builds in a quick 3 coats with pay off that is certainly worth it. 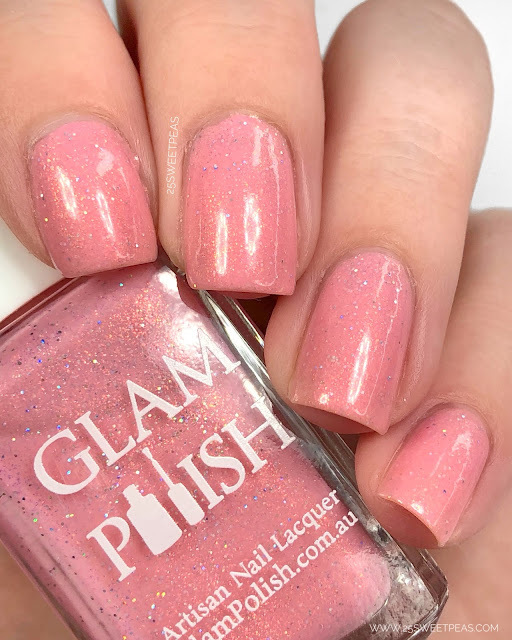 Light pink crelly with red-gold unicorn shimmer and ultra holo glitter. I can hear Piglet now! Can't you? 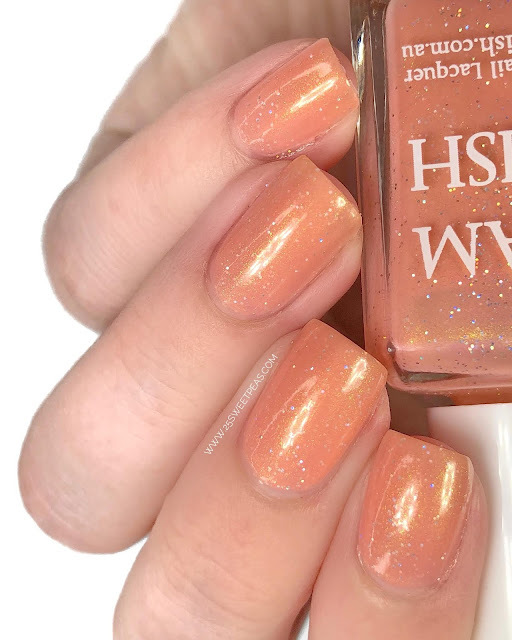 "Oh Dear" is the perfect Piglet pink and has a really nice warm toned shimmer along with the perfect amount of scattered holographic micro glitters. This applies and nicely and is a nice toned pink that I think will work on many skin tones. 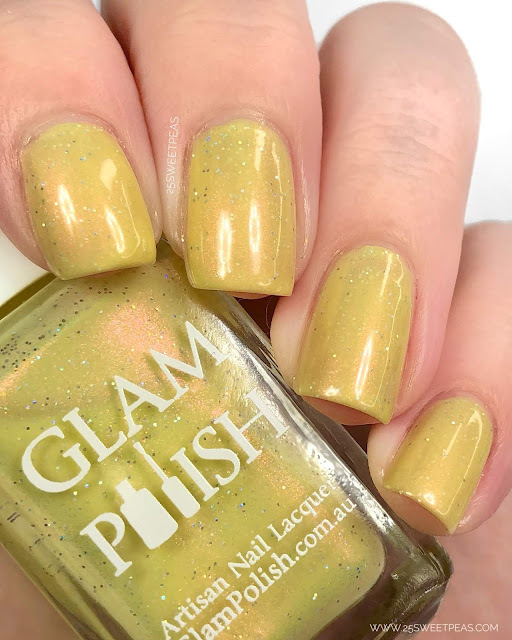 Pastel yellow crelly with pink-gold unicorn shimmer and ultra holo glitter. This yellow is a yellow I can actually get behind. 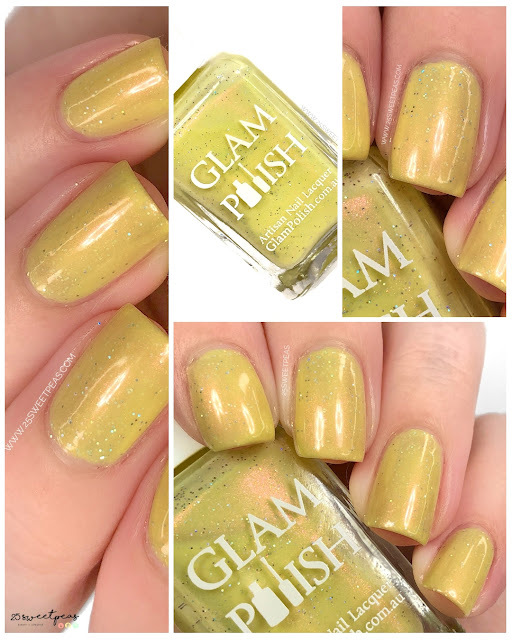 Its not too mustard, its more of a pastel yellow that has a red toned shimmer. 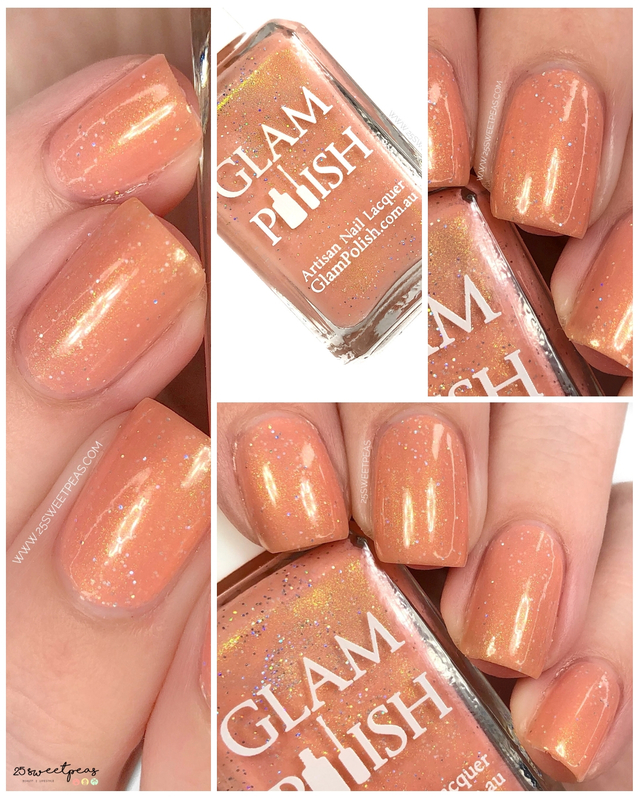 Which is super nice because it really makes it all come together and the perfect polish to symbolize Pooh! 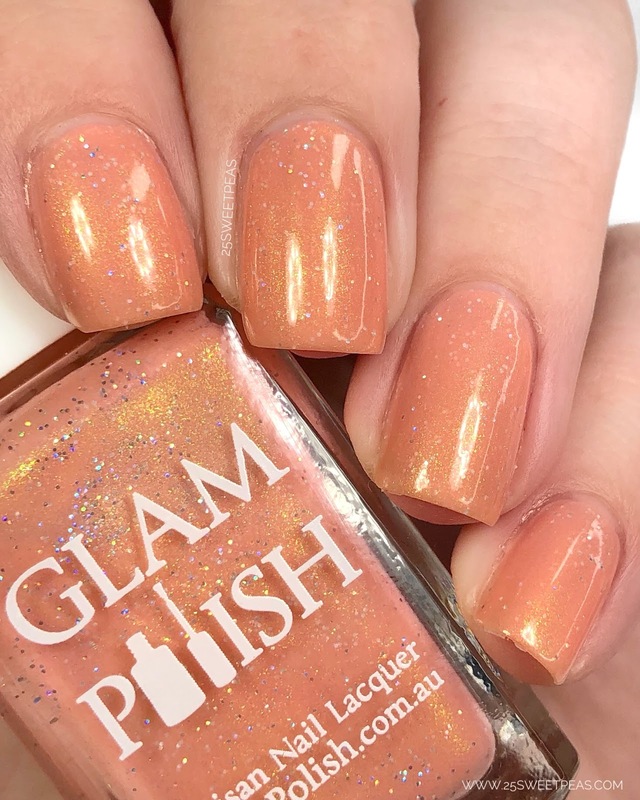 Pastel cantaloupe crelly with green-gold unicorn shimmer and ultra holo glitter. The Wonderful thing about Tiggers is an orange and I'm not usually an orange fan but this is different and the description is spot on by saying cantaloupe. 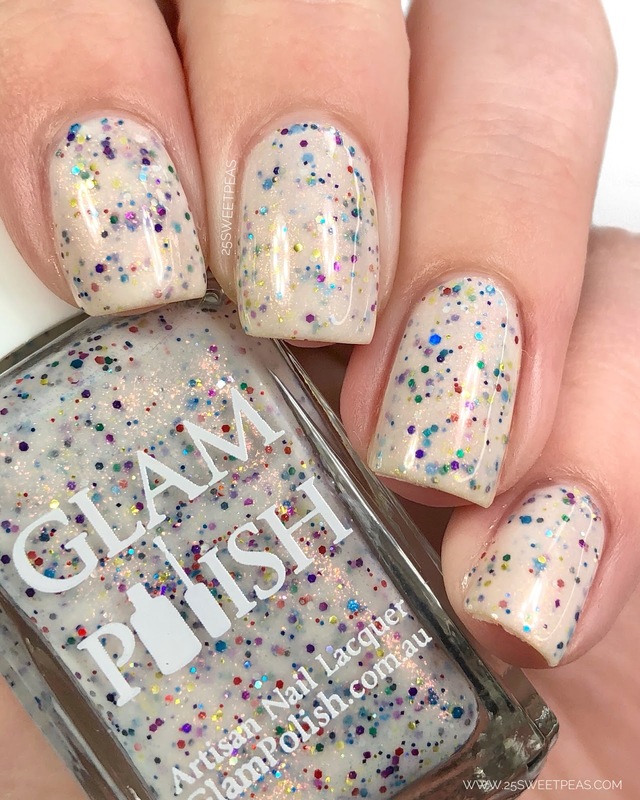 It really is that, and it has a yellowy golden glow from the shimmer, and the same scattered holographic glitter in it as all of the others did. 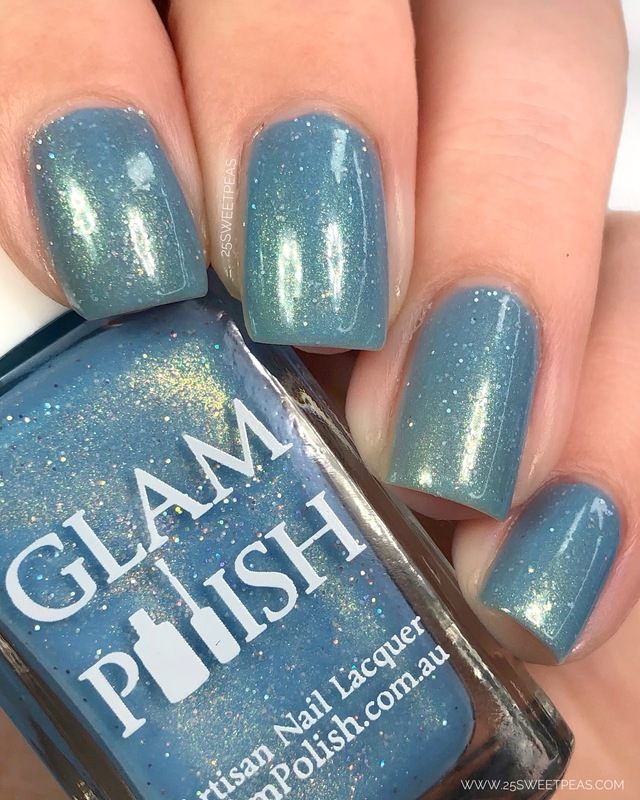 Light blue crelly with green-gold unicorn shimmer and ultra holo glitter. This blue is SO nice. 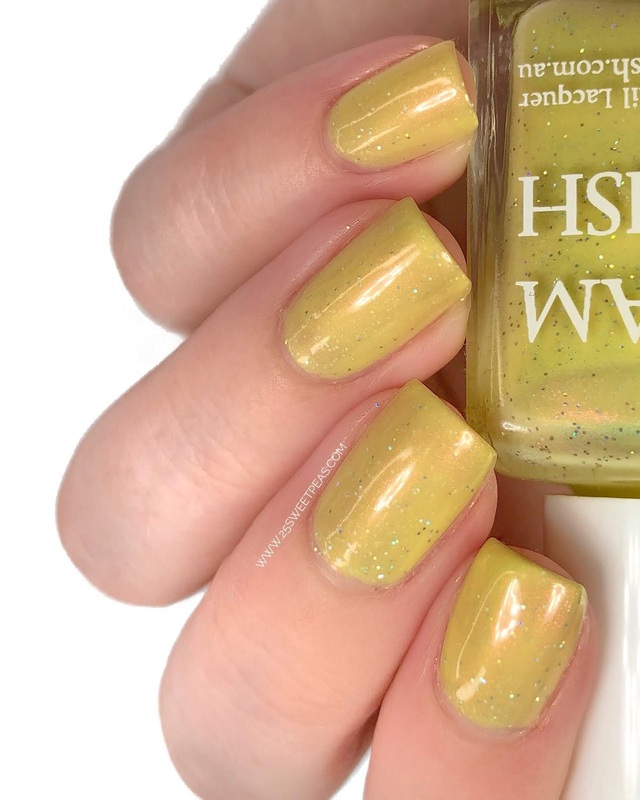 Builds up in 3 super easy coats and really catches your eye in the light because its shimmer is gold, green and you just can't describe it with words. other than it looks really nice and neat, and just really unique. I love it so so much! Now of course I couldn't swatch a Winnie the Pooh collection and not do some art inspired by the Winnie the Pooh Characters. 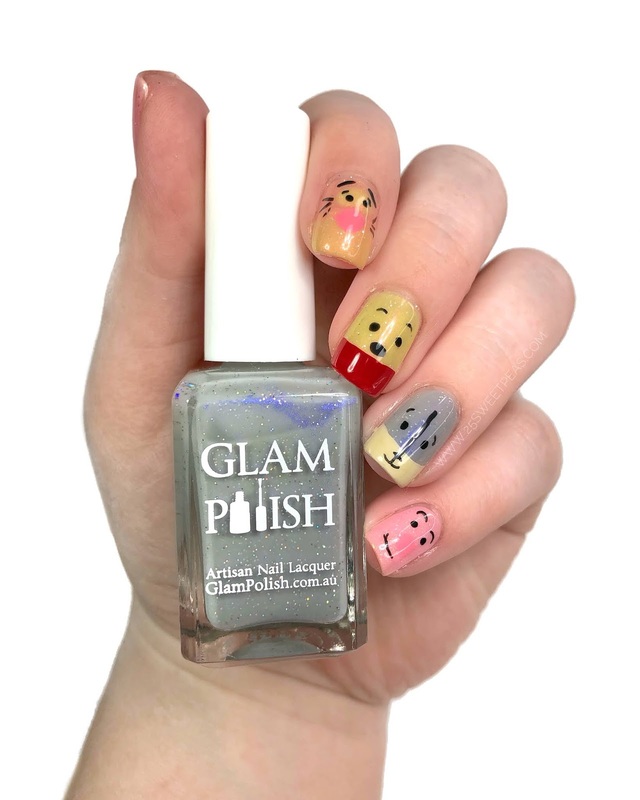 I had thought I was going to do a different design for every polish but that didn't quite work. I did however do a Tigger inspired one. 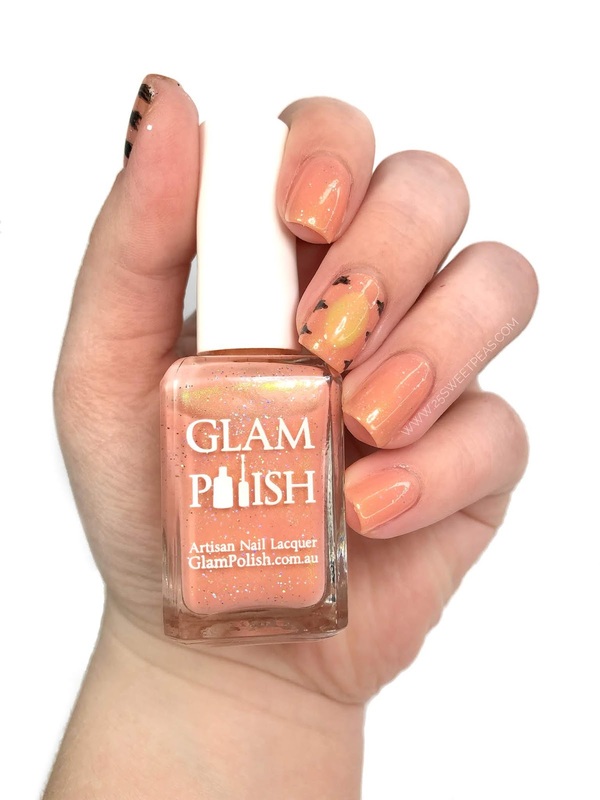 I used two of the polishes from this collection and then acrylic paint for this Tigger look! Then here I got in all of our main Characters, of course yes there are some others that are great that are missing, but most recently movie wise we got everyone! These were inspired by JuliaJor. 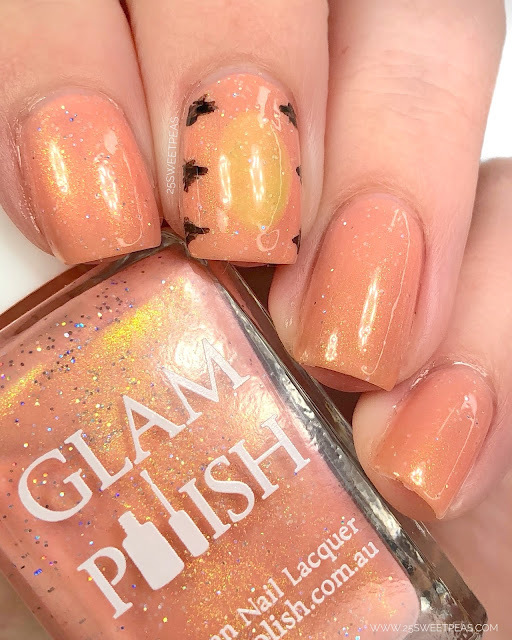 Her nails with the little ears are so cute! The faces were easier than I expected actually and came out kinda like how I wanted them too. 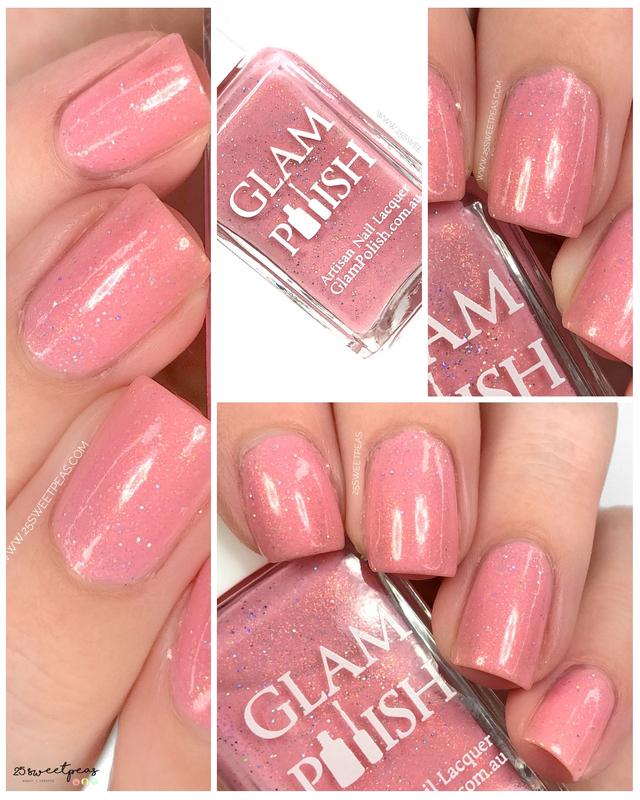 If you would like to watch todays swatch video you can HERE. 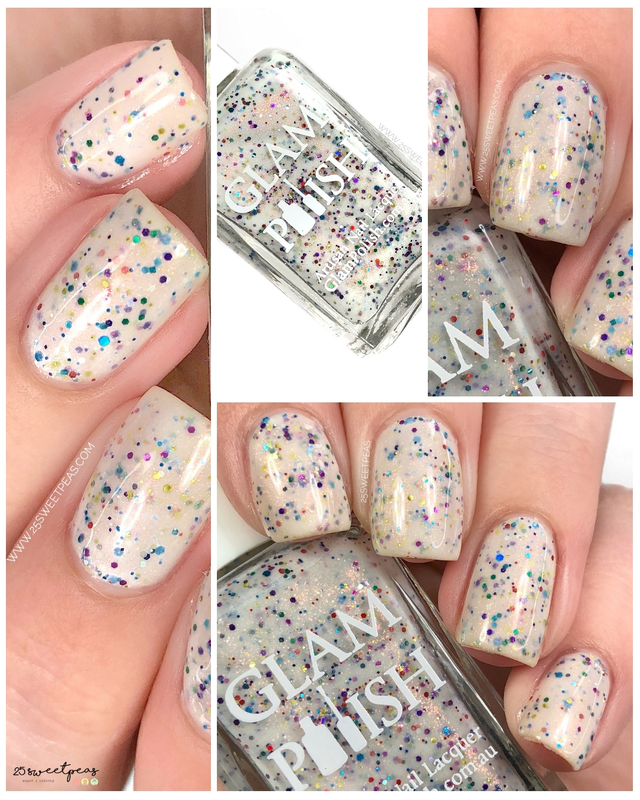 They are such pretty polishes, and overall I am just really impressed with these. So lets talk release details! Promo: Save 10% Off The Full Collection Set for the First 48 Hours. 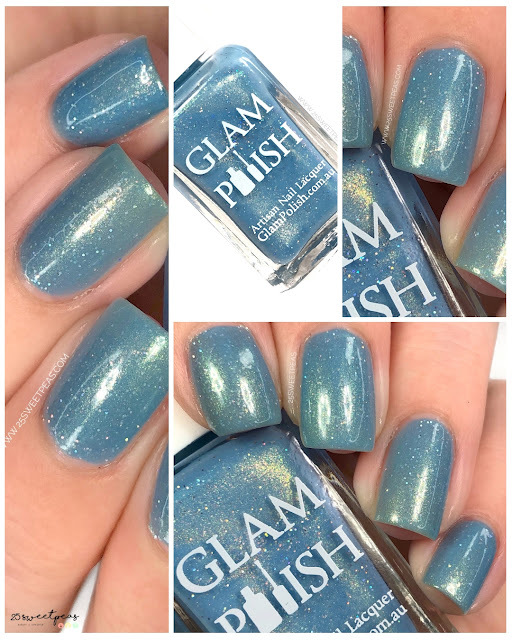 Special Offer: The first 65 orders over $60 USD at our February Launch will receive a free limited edition mystery polish. Well that is it for today I hope you have enjoyed seeing these polishes and enjoyed the art. Today is actually my 4 year blogoversary, and the start of my 5th year of blogging and I plan on having a special blog post up for that at some point this week. :) It's been a busy day! Anywhoo as a lil quick something thank you all SO SO much for being the best viewers ever and taking the time to read my blog posts and chat in the comments. Its always great! OMG Sarah these are SO SO cute! I love the nail art. I was not planning on picking any of these up.....but they are just too cute to pass up! These are all cute, but I'm partial to Heffalumps and Woozles, and not just because that song is so stinkin' cute! I adore this collections. Great names, great colors and love the nail art you did! Very pretty collection! It looks like it belongs in the springtime, and I am so ready for spring to finally come. This collection makes me smile and that nail art at the end is everything! Happy 4 years! 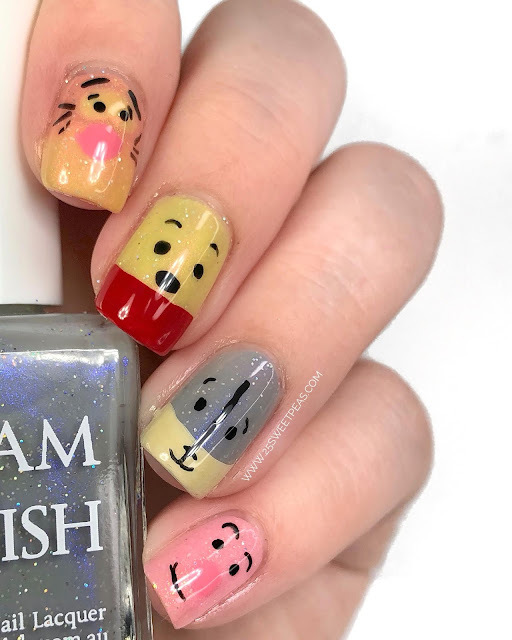 I absolutely love the nail art at the end! So Pinterest swoon worthy. 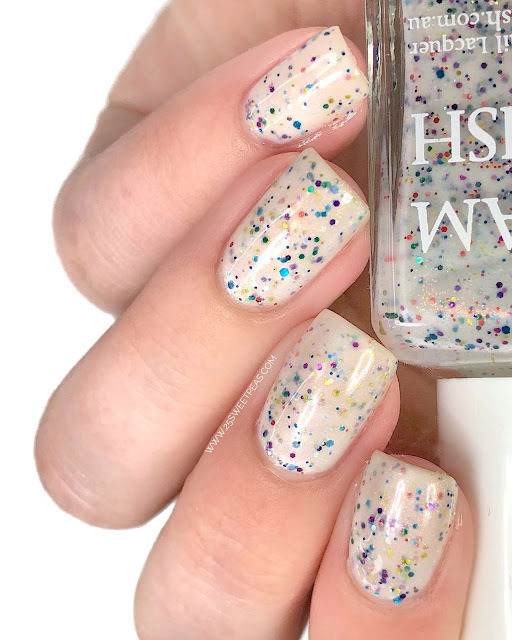 Super cute collection and I LOVE your nail art! I am loving Heffalumps and Woozles! I just don't see enough crellies anymore so this is a pleasant addition to the collection.